Spoken word and performance poetry continues to gather steam in the UK. Unsurprisingly, London finds itself at the epicentre of this blooming verbiage and many nights are cheap or even free to attend. So, just as the rhymes freely trip off the tongues of the poets, let your calendar fill up with all the expansive and experimental expression London has to offer. Apples and Snakes is the highest profile organiser of spoken word and performance poetry events on the list and is something of a pioneer. Since its naissance in 1982, it has expanded from its first events at the Adams Arms pub in Fitzrovia to a national and international operation. It works in association with the Arts Council England and runs several nights around the country including ‘Jawdance’ and readings at the Tate Modern. Jawdance takes place once a month at Rich Mix in Bethnal Green and is free to attend. Poet and musician James Massiah shares his work via ‘The A and the E’ alongside a host of friends and fellow performers. He has produced work for the BBC, the Guardian and Nike, and his Poætry Sessions run throughout the year at the ICA on a pay what you can basis. What Massiah’s nights guarantee is access, authenticity and artistic endeavour from performers like Soph LS and Belinda Zhawi. With a very popular open mic night, Rhymes with Orange is one of the best places to have a go at spoken word, if it so takes your fancy. If you do well, you might get offered a featured slot at the next show. The Dalston outfit takes its show to Edinburgh Fringe each year so, who knows, with some luck you could find your own ticket up north. Chris Redmond – a performance who is also part of Apples and Snakes – founded Tongue Fu in 2007 to showcase experimental live literature, music and improvisation. His night has attracted Kate Tempest and Akala to name but two reasons why you should add Tongue Fu to your roster of after work nights out. There is a regular residency at Rich Mix in Shoreditch and you should also keep a look out for shows at other high-profile venues like The Roundhouse and The Barbican as well as elsewhere in the UK and beyond. With events at the Albany, Arcola and Soho Theatres, Chill Pill offers high-energy spoken word nights in central London venues for under a tenner. Poet Mr Gee Mole, host of Radio 4’s ‘Bespoken Word’, spearheads the night, and also as part of the collective is Simon Mole, a poet who has performed alongside the likes of Simon Armitage. Chill Pill is what it says on the tin – a laid back atmosphere where up and coming talent rubs shoulders with some of the hottest spoken word artists out there. Boasting six branches in various cities in the south of England, Hammer & Tongue’s London events take place at the Book Club in Shoreditch. They pit poets against rappers, run year-round events and their calendar culminates in the Hammer & Tongue National Slam Final hosted in the Royal Albert Hall each year. As you might guess from the name, Stand Up and Slam wants lines of poetry that make you laugh. 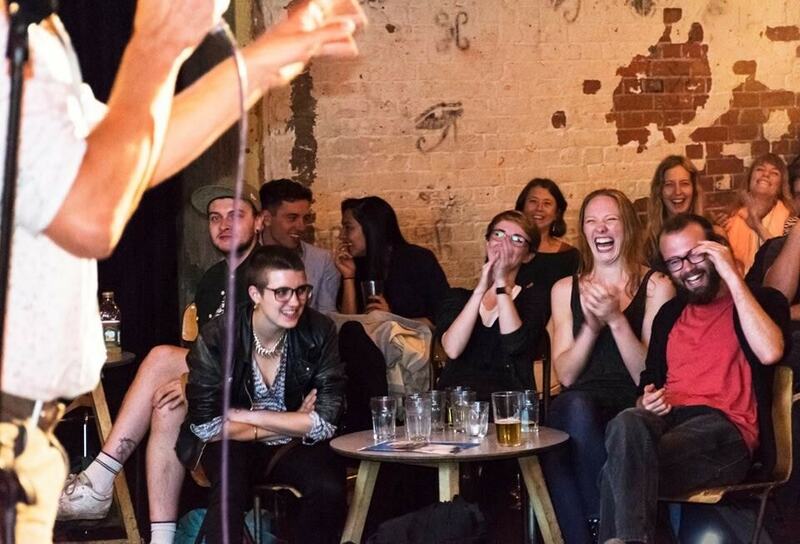 A monthly residency at the Camden Comedy Club sees teams of poets come up against comedians to pit wits against words in differing measures. Their Edinburgh Fringe show regularly garners five-star reviews, and for a fiver a ticket, that is not bad value at all.